Billed as the “Showplace of the Tonawandas”, the Riviera Theatre was built during the year 1926, by the Yellen Family. The architects Leon H. Lempart and Son drew the plans, which were patterned after the Italian Renaissance. The interior artwork was painted at the Rochester Studio of Willard M. Lusk, by Ferdinand Kebely. 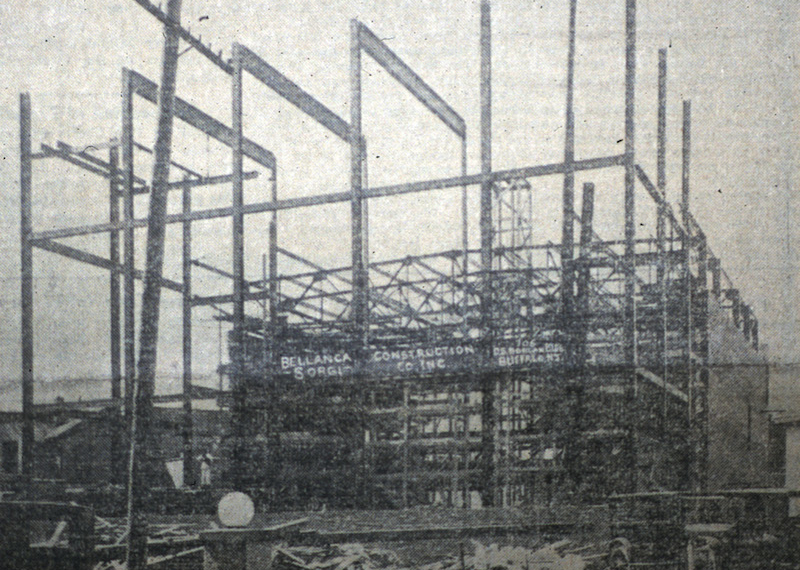 Opening night, Thursday, December 30, 1926 of the new ‘TWIN CITIES RIVERA’ (as it was spelled then) was a ‘gala event’ in the Tonawandas. Advance reservations for opening night cost $1.00. Present on this special evening, were the Mayors of both Tonawandas. 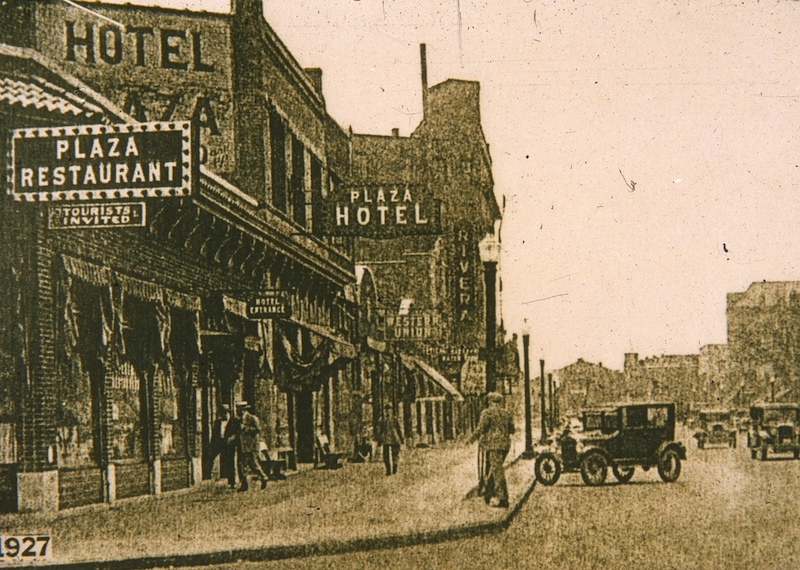 From the stage, Mayor James P. Mackenzie of North Tonawanda, praised the President of the Ownership Corporation of the Theatre, Henry Henshel, and the Theatre’s Manager, James J. Kelly. Messages of Congratulation of the Grand Opening were received from then Governor Alfred E. Smith, and famous movie producer Cecil B. Demille. Featured on the screen, were the silent films “Upstage” starring Norma Shearer, “The Mona Lisa”, in Technicolor, a short comedy, and the weekly newsreel. 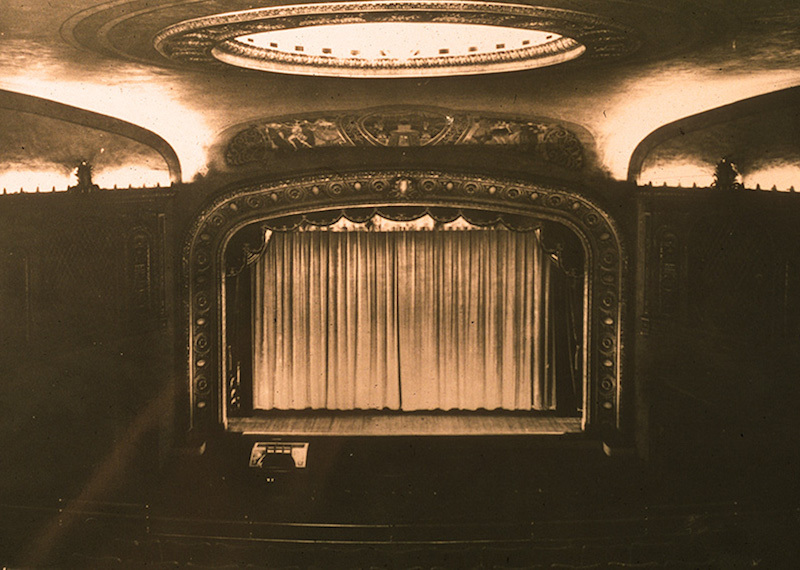 Organist Fred Meyer accompanied the films and soloed at the Mighty Wurlitzer. The stage featured vaudeville and musical events, as well as magic shows. Over the years, the “Riv”, as it’s come to be known, changed ownership many times. Private ownership as well as big-name companies such as Shea’s and Dipson held reign over the theatre. As the silent film era fizzled out due to the advent of the “talkies”, the Mighty WurliTzer became silent and fell into disrepair, with only occasional organ concerts as its primary function. 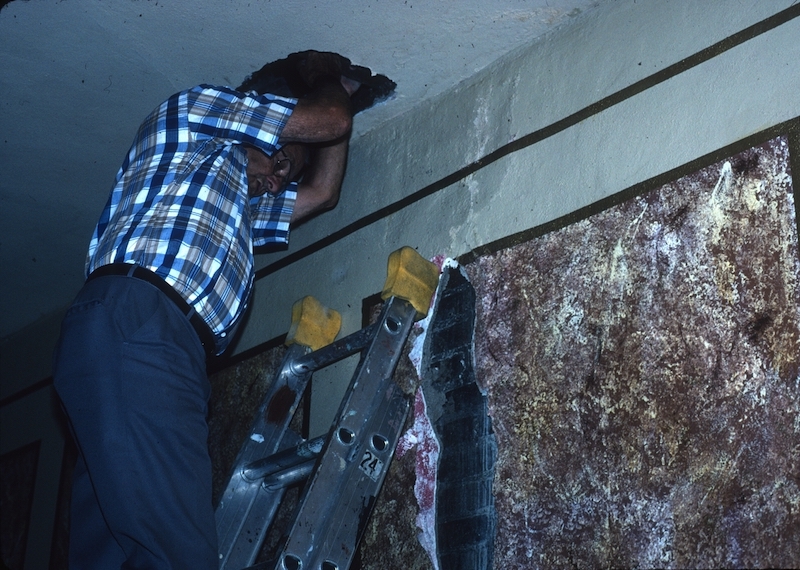 The decades of the 60’s and 70’s brought neglect to the building, which would eventually require painstaking restoration. 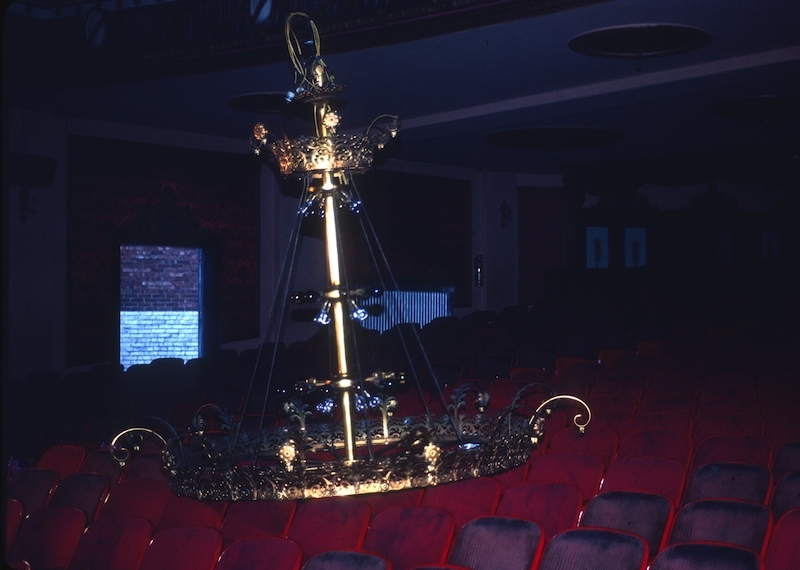 One major addition to the theatre was its Grand Chandelier in 1974. 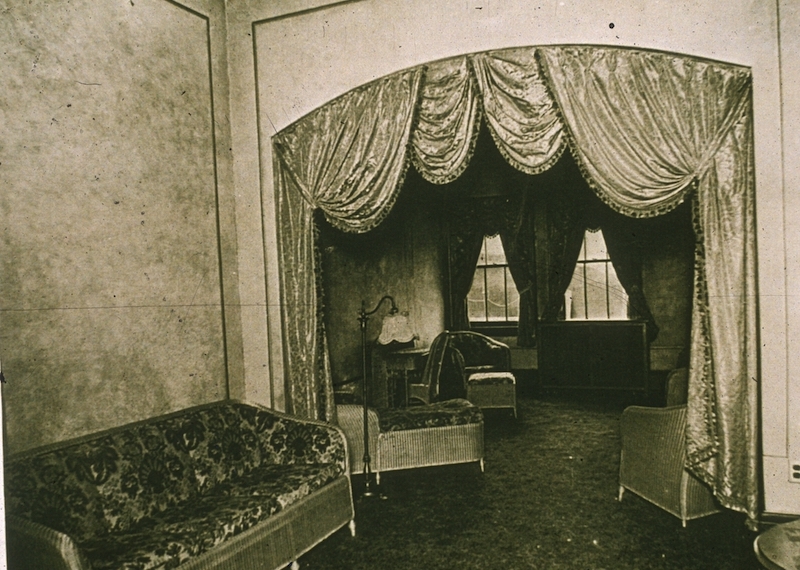 As shown in the photo above, the Riviera did not originally have a chandelier! 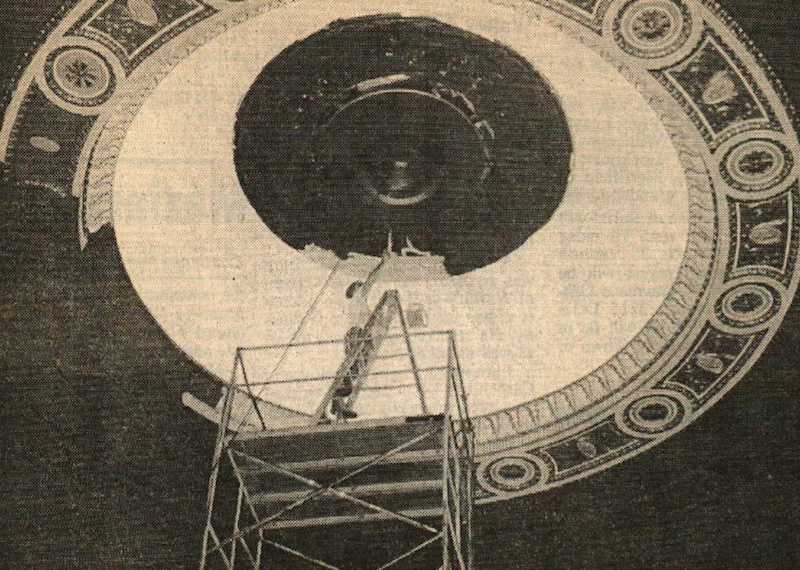 The massive light fixture, measuring 10 feet in diameter by 14 feet high, was purchased from the Buffalo Genesee Theatre before it closed. 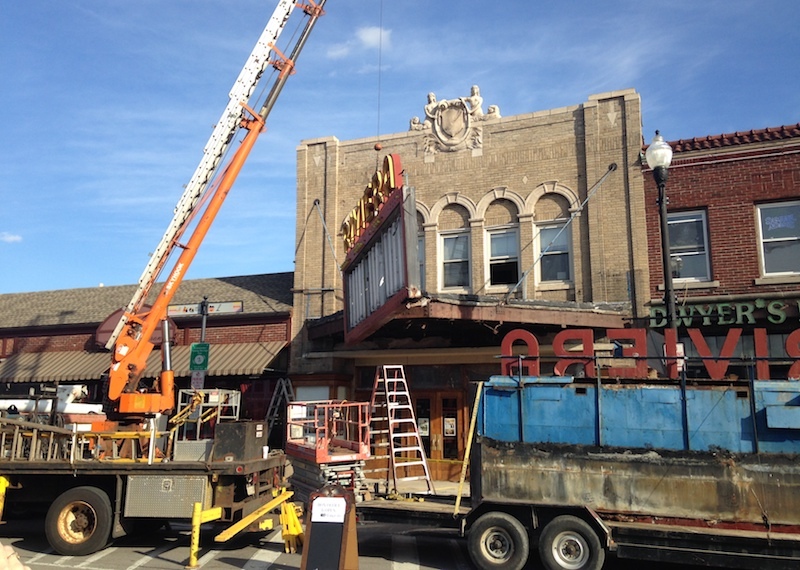 In 1989, a small group of passionate volunteers, also known at the time as the Niagara Frontier Theatre Organ Society (NFTOS), purchased the Riviera Theatre in order to save the building and her priceless Mighty WurliTzer organ. 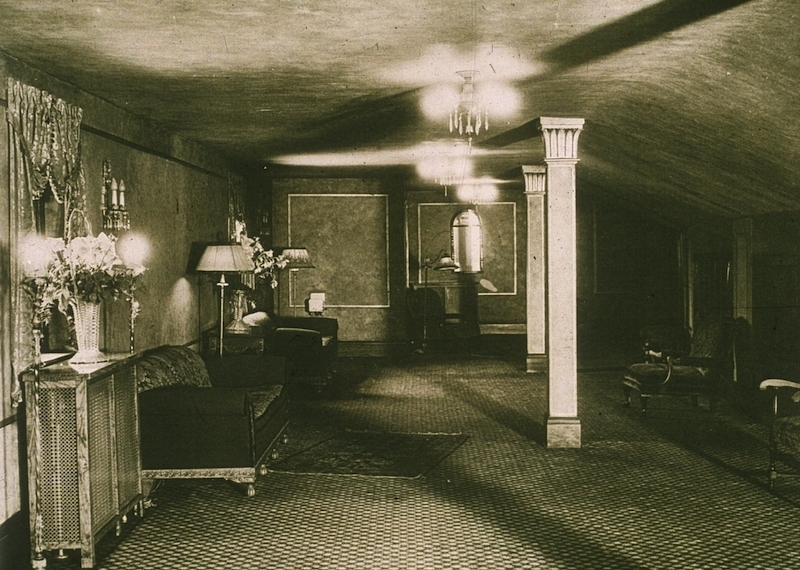 The next decade was a turning point for the theatre, as volunteers and professional painters worked tirelessly to bring the Riviera back to life, restoring it’s original majestic grandeur. As the years went on, the Riviera grew in popularity with live concerts, theatre, dance, comedy, and movies. Keeping up with the times, the Riviera has made millions of dollars in updates to the stage and other areas around the theatre. 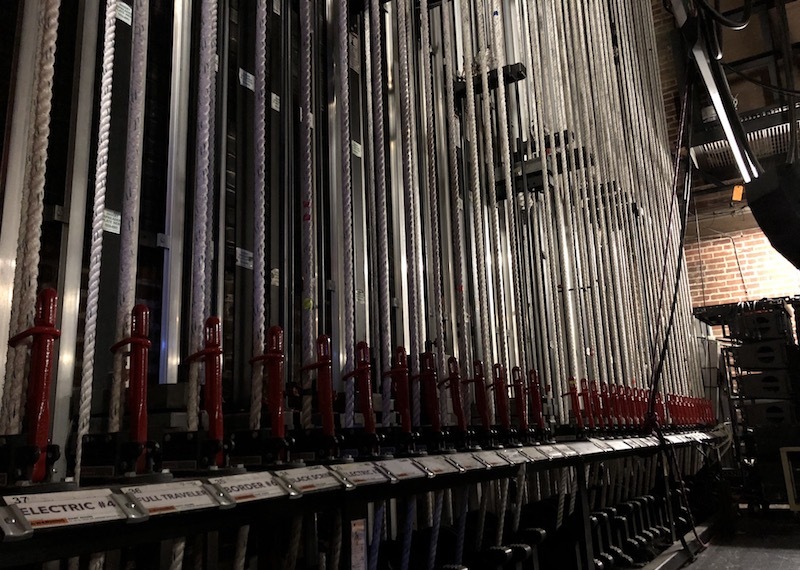 This includes an updated counterweighted stage rigging system with 41 lines that replaced the original 13 un-safe hemp and sandbag rigging lines. This upgrade allows the theatre to bring in larger productions and increases the capability of flying more lighting, scenery, and curtains. 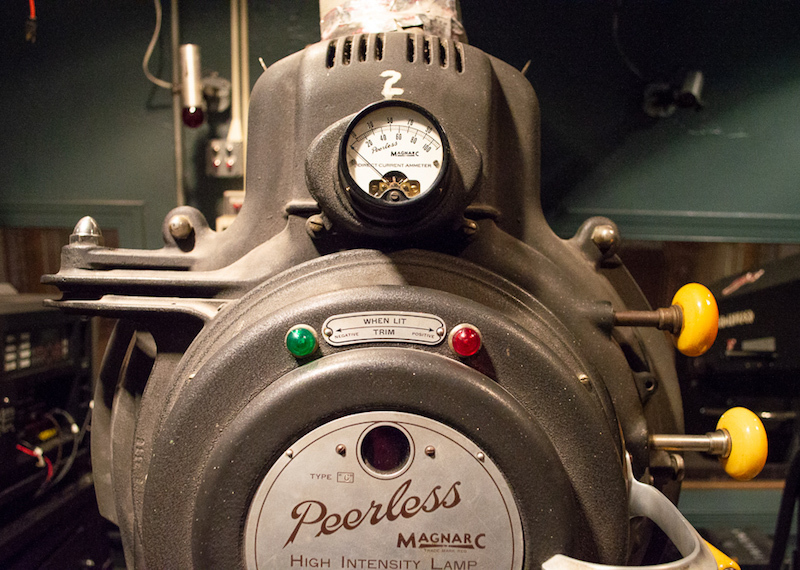 In 2014, the theatre’s 1949 Marquee was completely restored. The work, done by Wagner Sign Co., Flexlume Neon, and Frey Electric brought the Webster Street centerpiece back to its former glory, more brilliant than ever with original paint colors, brand new neon, lighting, and LED video screes that replaced the original milk glass letter boards. In 2015, the Riviera upgraded it’s movie presentation infrastructure from film to digital, as this is now the mandatory way of showing movies. Thanks to generous grants, the Riviera is still able to show films, both classic and new for years to come. 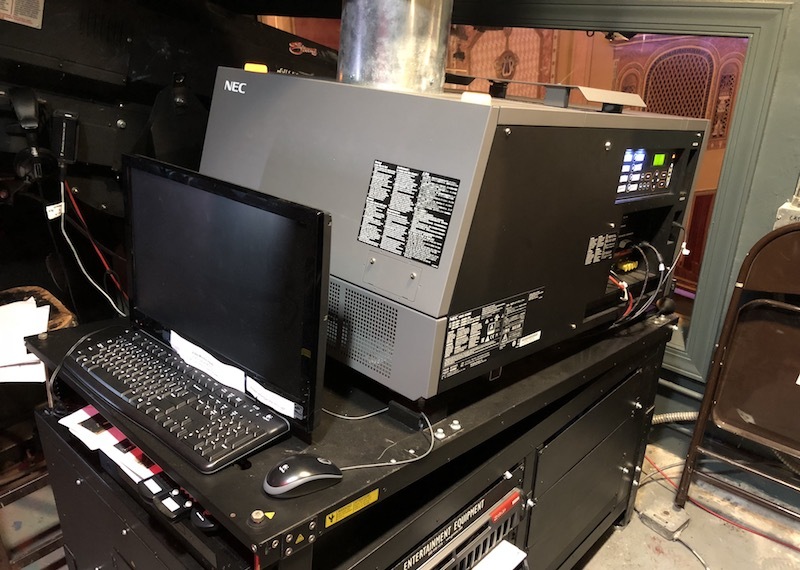 The new Dolby Digital projection system is state-of-the-art, with crisp, bright images – movies now play from a hard drive, rather than physical 35MM film. 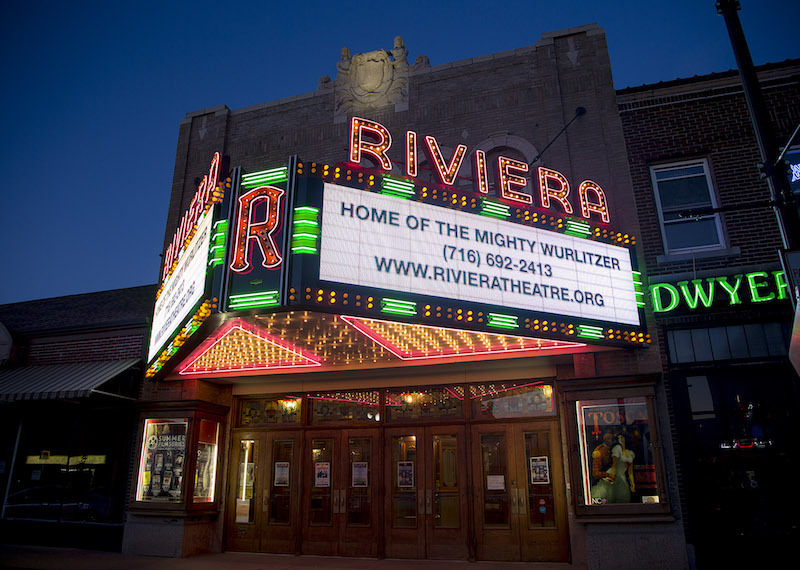 The Riviera Theatre continues to make history by keeping it’s legacy alive in the community, and by offering top-quality entertainment at affordable prices for its patrons. We thank everyone – past and present, who have devoted their time and effort into the success of our 93-year old gem!